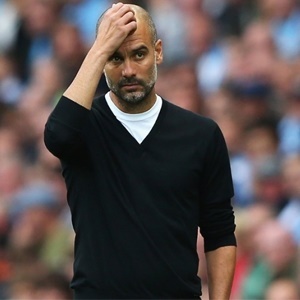 Cape Town - Manchester City manager Pep Guardiola was critical of the Spanish government for their handling of Sunday's independence referendum in Catalonia. Sunday's vote for or against independence for the region is considered illegitimate and illegal by the Spanish authorities, with police cracking down on voters and confiscating ballots. In the midst of the drama, Barcelona were forced to play their Liga match against Las Palmas behind closed doors, winning 3-0 at an empty Camp Nou after the league rejected their request to have the match postponed. "I would not have played the match," Guardiola Catalunya Radio and RAC1. "And if we did have to play it, then not behind closed doors. "We don't want them to think that we dislike Spain. Spain is an incredible country, with its literature, sport, and cities. But there is a need to understand that there is a population which wishes to decide its own future." Spain’s Madrid-based government handled the referendum terribly, using police to aggressively clamp down on the vote. Had they allowed the referendum to take place peacefully, polls show that most Catalans probably would have chosen to remain part of a united Spain. Instead, their heavy-handed tactics feed the narrative of a central authority denying freedom and democracy to the people. "Spain will try to cover up the reality, but the rest of the world's media will show it," Guardiola added. "I read in El Pais that they were saying it was the police officers who were injured. Injured by what? By votes? "It has been the opposite as they have injured people with rubber bullets, which are illegal in Catalonia. They broke one woman's fingers. There are some images from today that are irrefutable. "The prime minister must answer the questions, as he remains the prime minister of all Spaniards. "Why don't we be more like the British, who have been democratic for many more centuries than us? On top of it all, we don't even know if Catalonia does or does not want to be independent."